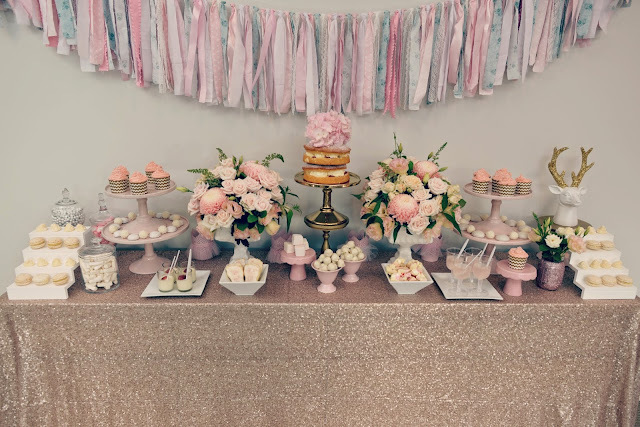 Recently we teamed up with Sugar Coated Mama to style the flowers for a first birthday party she created in Rhodes near the Parramatta River. 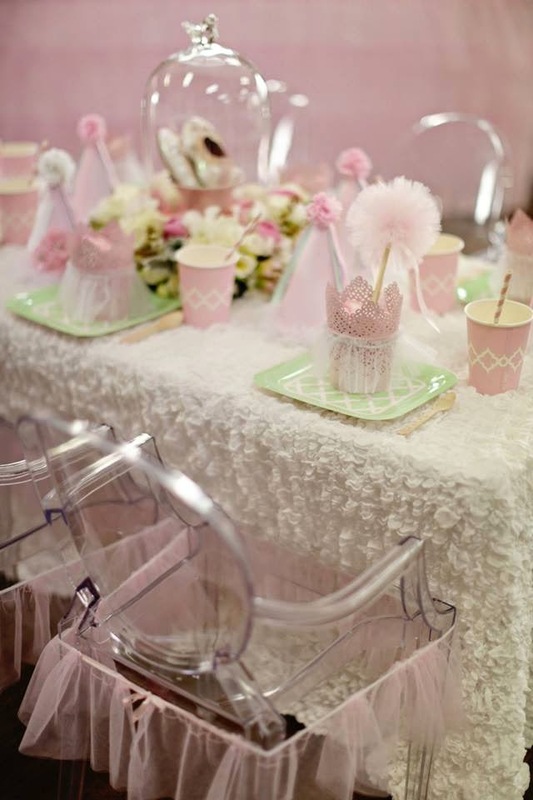 (It was even featured in this month's edition of Sweet Magazine!) 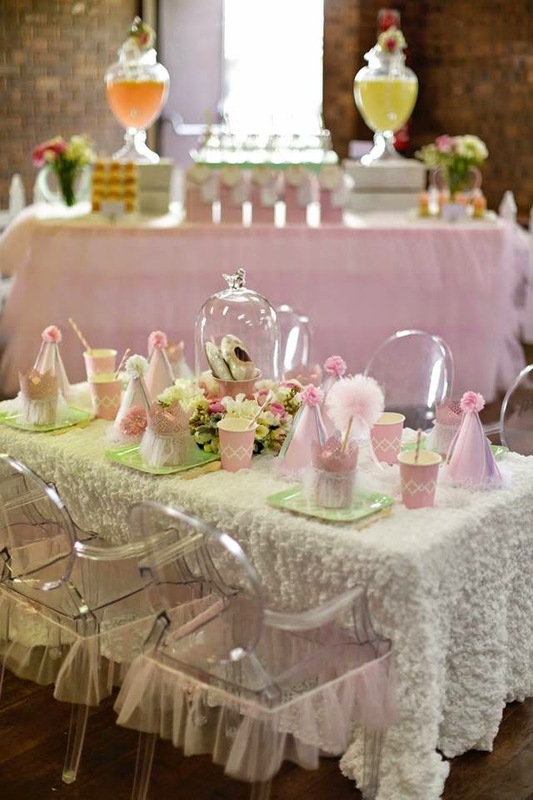 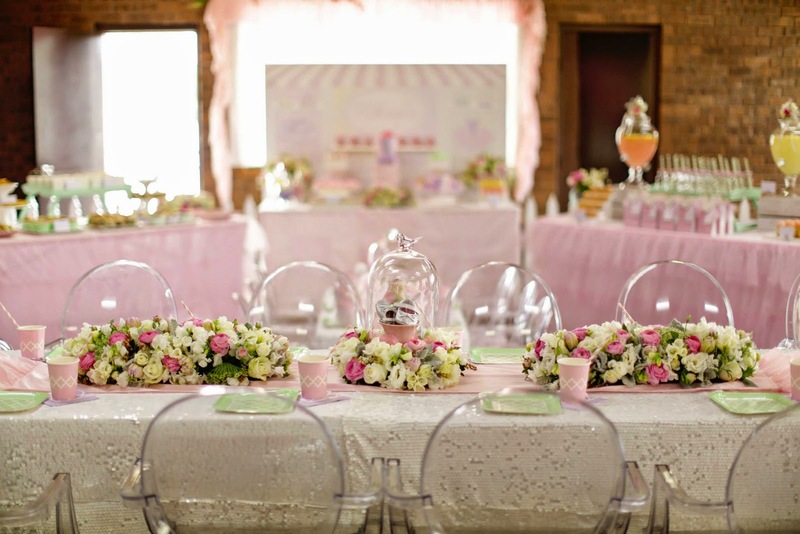 Everything was pink and sparkly, all ballerina tutus and literally hundreds of sweet details which made the party a little girl's dream. 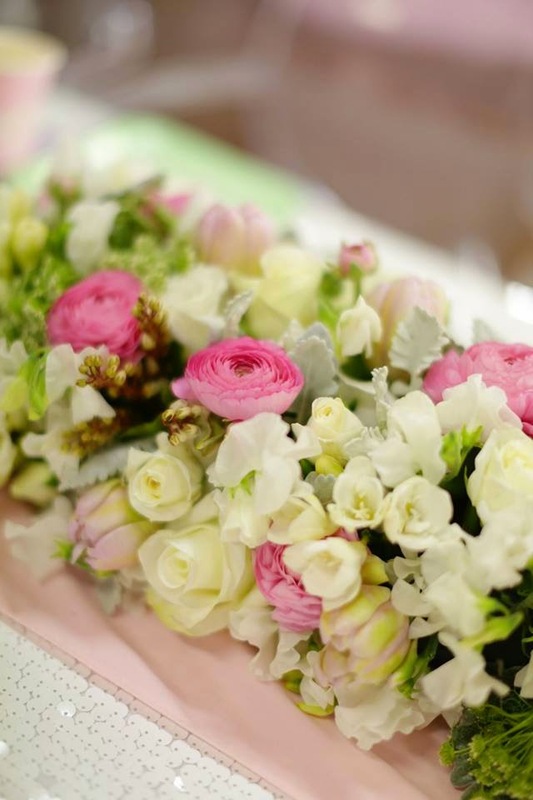 To add floral beauty to the event we paired delicate pinks and soft whites, pastels of roses, sweet pea, freesias and ranunculus. 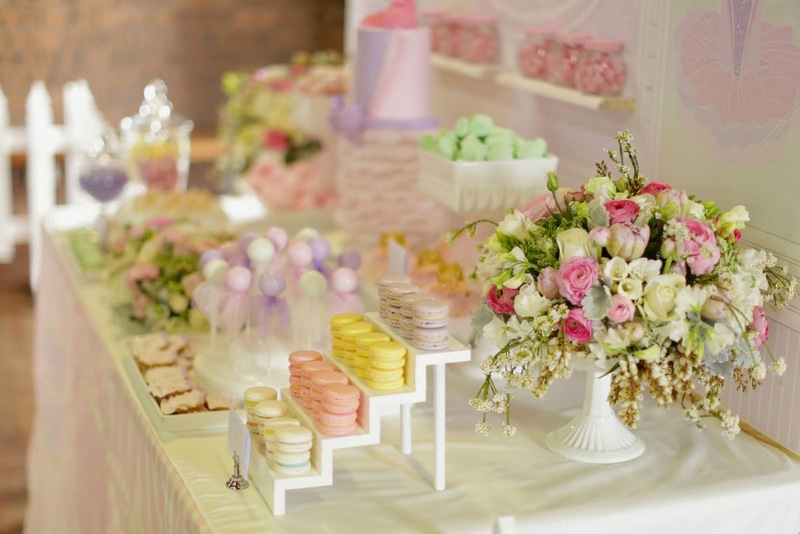 The plan was for the party to be held outside in a riverside park at Putney but torrential rain made for a last minute relocation to the local scout hall at Rhodes so we didn't get to make the garden arch we had planned to welcome the guests through. 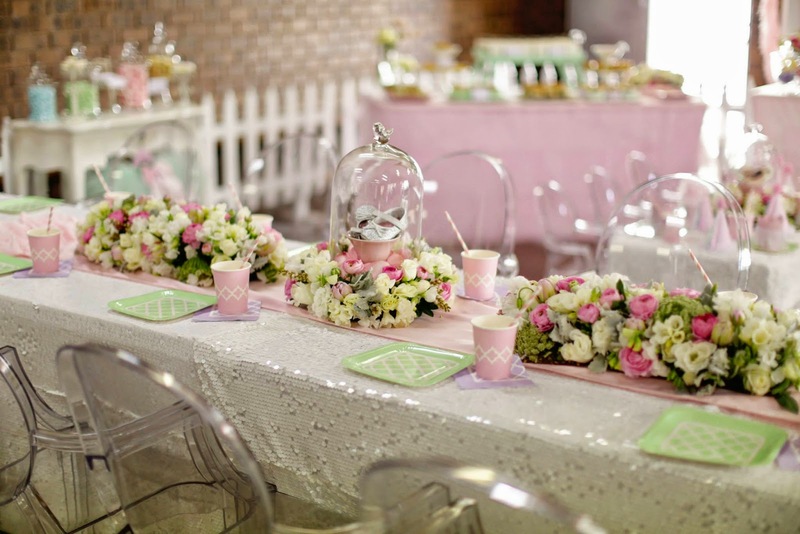 However, it was still breathtaking inside! 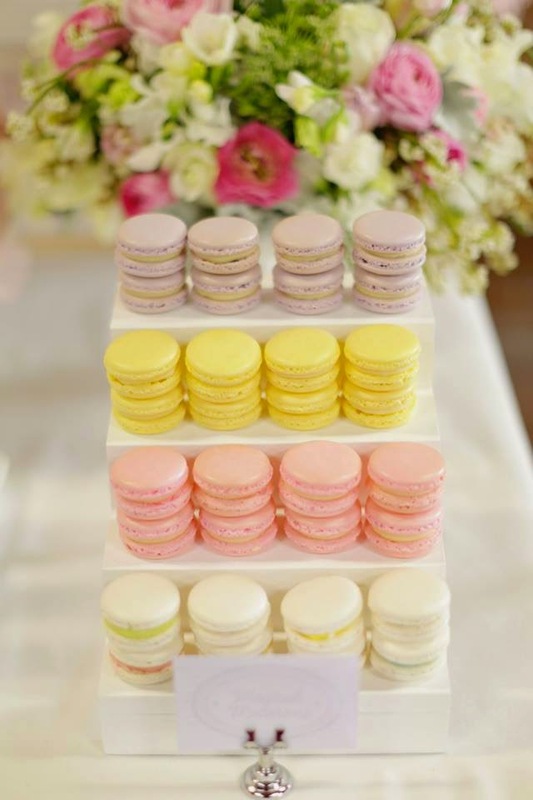 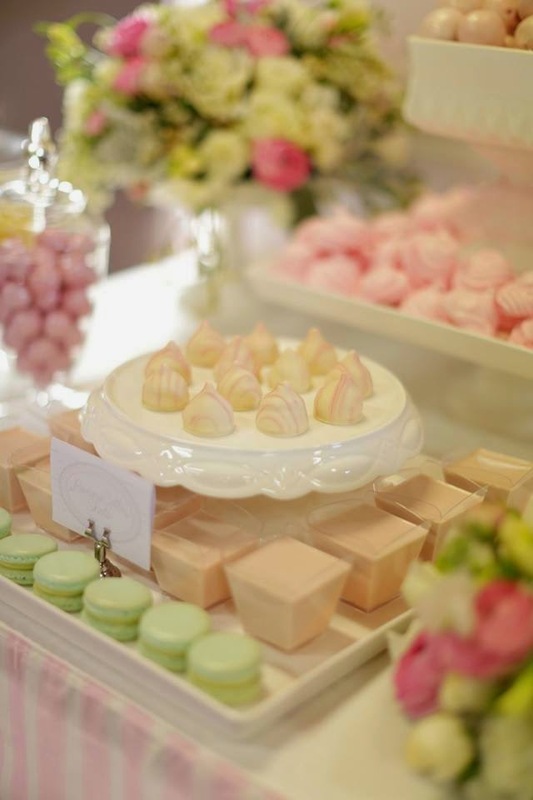 The key colour palette of soft mint, pink, purple and lemon reflected in the decadent desserts and the flowers. 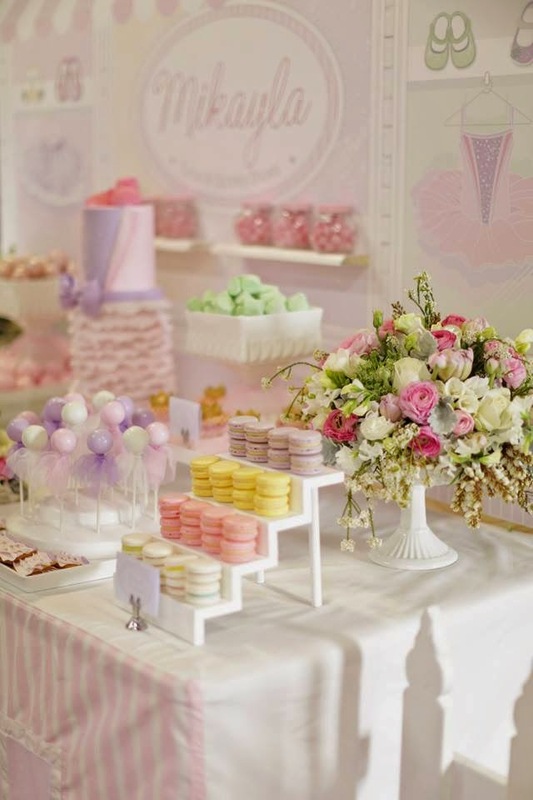 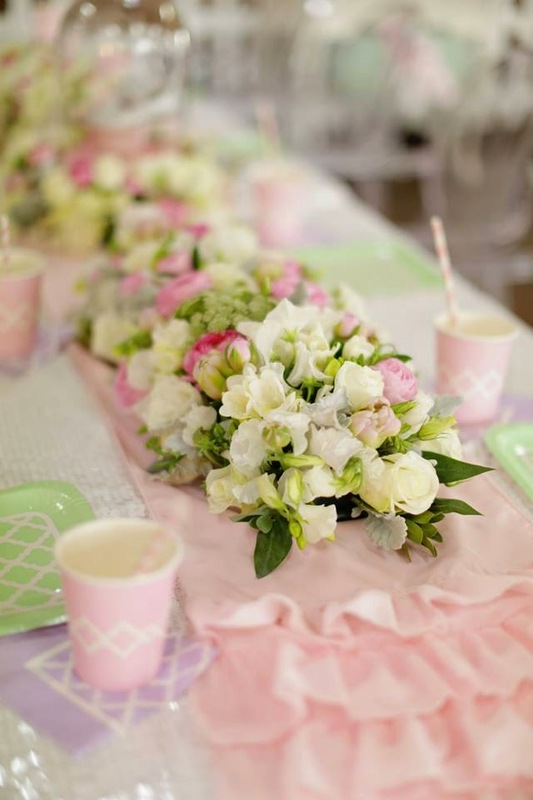 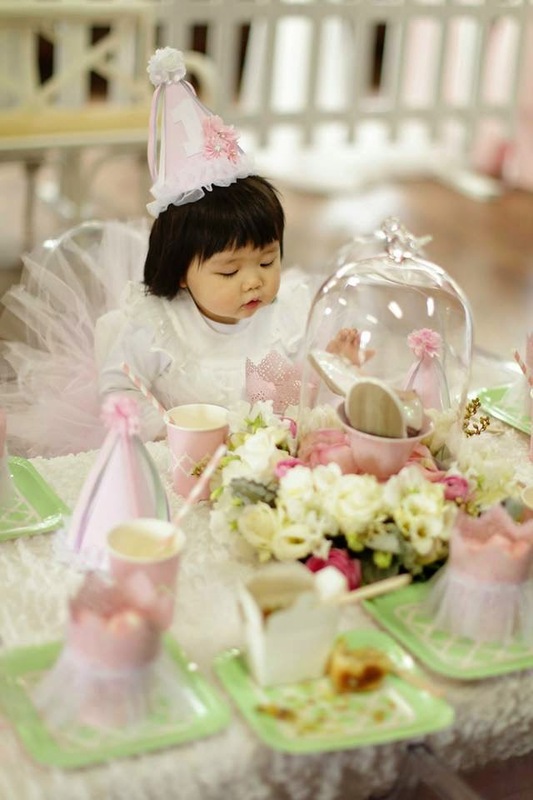 The beautiful blooms really accentuated the prettiness of Mikayla's first birthday party. 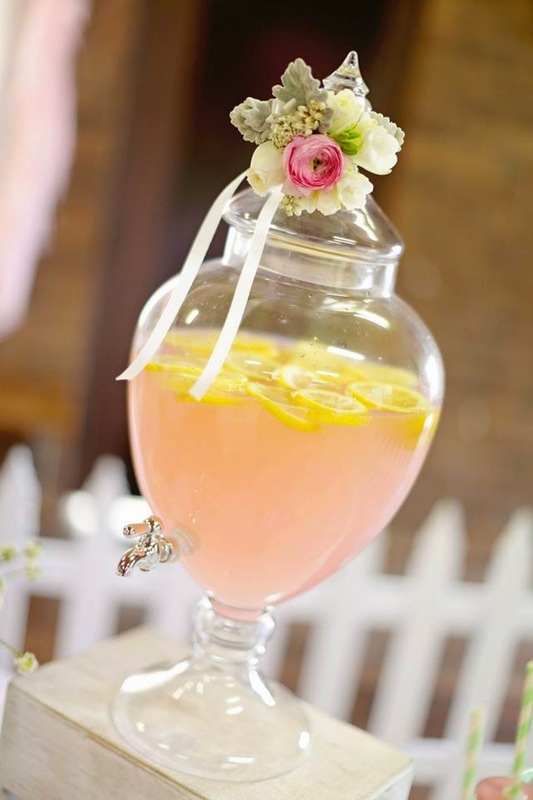 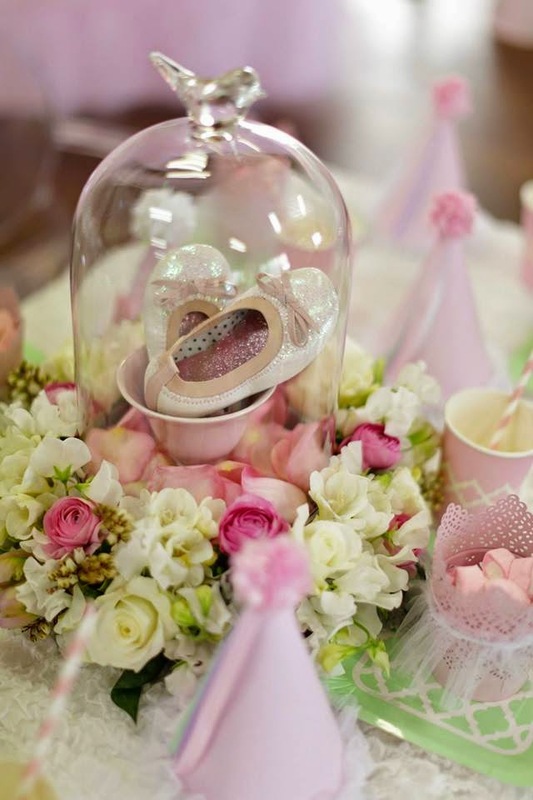 Sarah had thought out all the exquisite details - like these glass cloches which held sparkly baby shoes in tea cups which we arranged fresh flowers around. 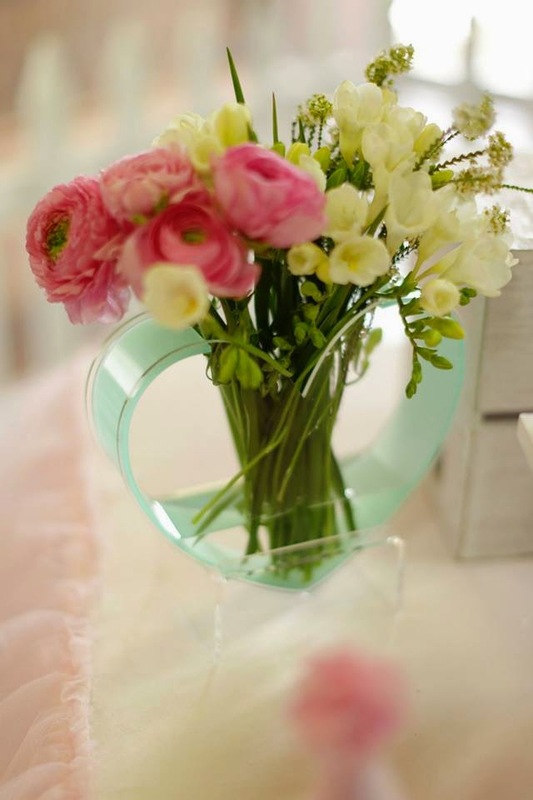 They made stunning table centres.